Novels that engage and inspire today's middle and high school readers. NEW! 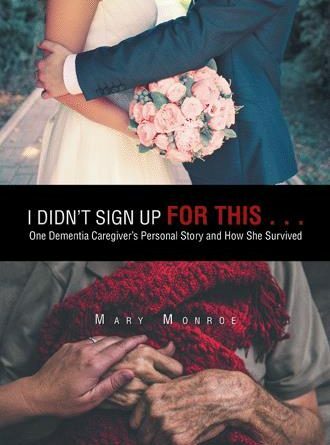 Hope and help for millions of Dementia Caregivers — Mary Monroe's NEW 2019 true story! Brutally honest about her feelings when life dealt her husband the greatest setback one can imagine—a diagnosis of Lewy body dementia and Alzheimer’s—Mary Monroe lamented, “I didn’t sign up for this!” All her dreams of living her “golden years” with her husband of forty years disappeared, and a new “normal” had to be established. After living in a caregiving role for over six years, Monroe shares the lessons and tips she learned to survive—and even thrive—as a caregiver to a loved one with dementia. Copyright © 2019 Welcome to Mary Monroe Books. All rights reserved.